The eye of the hurridrain. Taking a nice hot bath and failing to not think about the NSA spying on you. It's almost looks human. It reminds me of my former Mother-In-Law...giving me the sink-eye. That little hole in the middle where normal humans have a pupil? Your soul gets sucked into that hole if you make eye contact with her. Thanks Anonny. Now the nightmares will come back. You owe me cookies. I'm so sorry, sweet springeraz! Almond white chocolate coconut cookies to help with the nightmares. New iTune: "Looking 4 U" by N'Sync. The Unblinking Bold Look of Kohler. "I saw my whole life flush before my eye." 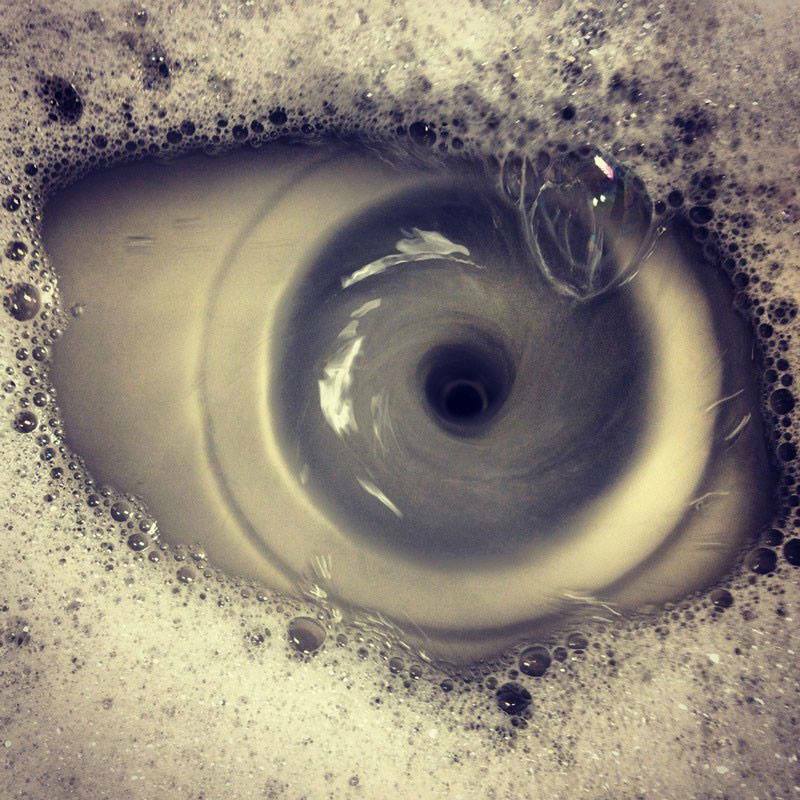 The eye of Seweron. A great eye, lidless, wreathed in suds.